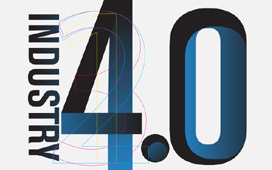 The fourth industrial revolution, aptly named Industry 4.0, is already underway. With Industry 4.0, computers and automation will be central, as robots will be connected remotely to computers with machine learning algorithms (or A.I.) that can learn and will operate the robots with minimal input from humans. In these so called “smart” factories, Internet of Things will allow systems to communicate and co-operate with each other as well as humans. Information transparency: information is contextualised by the systems creating a virtual copy of the physical world through sensor data. 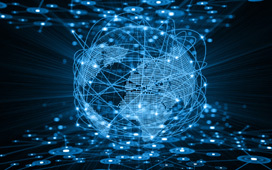 Technical assistance: the systems are able to support humans in making decisions and solving problems, rather than “just” assisting humans with tasks that are too difficult or unsafe for humans. Decentralized decision-making: the ability of cyber-physical systems to make simple decisions on their own and become as autonomous as possible. Ultimately, the results for businesses deploying Industry 4.0 systems should lead to increased revenues, market share and increased profits. With the US city of Cincinnati declaring itself an “Industry 4.0 demonstration city”, it is really not a question of if the revolution is coming, but rather how quickly, and it would be naïve to think that such a major shift in the way of doing things would not impact upon the way Industry 4.0 companies need to market themselves. This too, is an area that is seeing a significant shift, and companies need to follow suit and adapt in order to not be left behind. The sales and marketing environment is rapidly changing as we see the power very much lying in the hands of the buyers, who are getting more and more savvy about informing and educating themselves about their purchases. This is not just for on-line purchases, research has established that 74% of business buyers conduct in-depth on-line research before making an off-line purchase. This means that inbound marketing, where you generate quality content that attracts buyers to your company and products is increasing in importance. Buyers need to be convinced that your company, products and brand is the right fit for them. The aim should be to provide people with the right information throughout their purchasing journey, backed up by constant confirmation of your brand values. The more your company aligns itself with the demands and values the buyer is looking for, the easier it is to convert their interest into a sale and build up a mutually beneficial relationship with them over time. Now is the time to get your on-line presence and collateral in order and embark on long-term inbound marketing campaigns. Don’t get left behind, the revolution is already happening.